What was the deal with... Shaq Fu? Can Shaq-Fu: A Legend Reborn shake of the shackles of its mediocre past? This spring, the sequel to a godawful game that few people liked is coming to PlayStation 4, Switch, Windows PC and Xbox One. Today, we ask the same question raised in 1994: why? Shaq-Fu, released by Electronic Arts for Mega Drive, Super NES, Game Gear, Game Boy and Amiga, was not such a terrible idea. It starred NBA legend Shaquille O'Neal for one thing, and perhaps inspired the 1996 movie ‘Space Jam’, featuring Michael Jordan. Like, maybe. Instead of giving us basketball, EA chose to present this bizarre twist on Mortal Kombat, with Mr. O’Neal squaring off against the minions of evil Egyptian mummy Sett Ra in hopes of rescuing a kid called Nezu, because… we don’t know. What we can tell you is that the nickname Shaq-Fu was given to Shaquille O'Neal during his collaboration with American rappers Fu-Schnickens on the 1993 song ‘What's Up Doc? (Can We Rock)’. 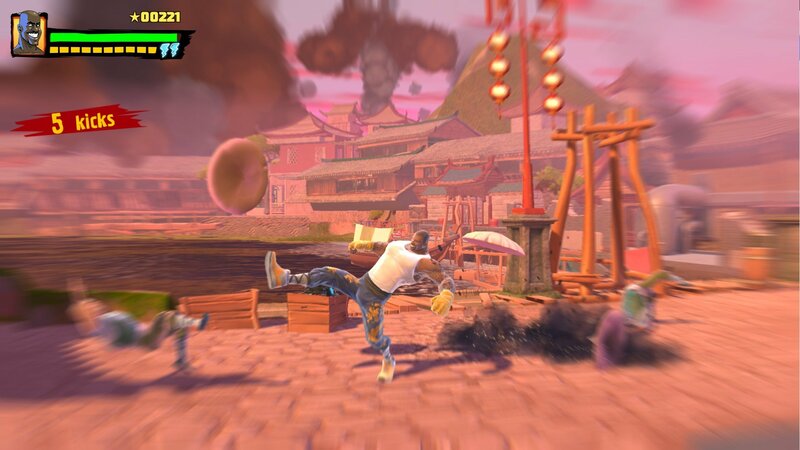 What if Shaq-Fu actually knew how to do kung-fu? EA allowed this to become a thing. Was Shaq-Fu actually that bad? Initially Shaq-Fu was received more gratefully than hearsay would have everyone believe. Respectable comments and review score (4 out of 5) were handed out by the American magazine Game-Pro whose staff listed die-hard fighting game fans such as Slasher Quan, and UK-based Mean Machines, which famously enjoyed tearing dreadful games to shreds, awarded Shaq-Fu 79%. It was only Nintendo Power (2.9 out of 5) and Electronic Gaming Monthly (6 out of 10) that punished EA most severely, adopting a more serious stance. The visuals were colorful, with imaginatively designed sprites that were very impressively animated against similarly lush and alive backdrops (swamps, temples, caves and villages). Problem was, everything was tiny, with combatants roughly the same size as those seen in SEGA brawler Streets of Rage, whereas the best 1-v-1 fighting games have always featured very large and detailed characters. Think Street Fighter, Mortal Kombat, and Art of Fighting. Certainly, the reason Shaq-Fu looked so good, and also sounded pretty sweet even on the Mega Drive, is that French developer Delphine (Another World, Flashback) was responsible. This studio really knew how to make the old 16-bit hardware sing. 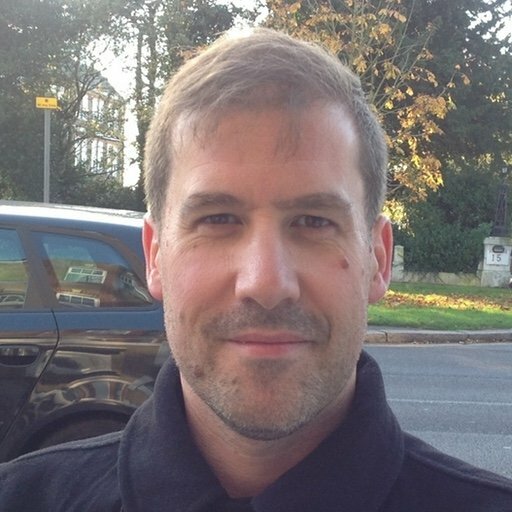 It had mastered the art of rotoscoping, a technique most famously associated with Jordan Mechner’s Prince of Persia (1989), that allowed for incredibly smooth motion-captured animation. However, Delphine was no Capcom, Midway or SNK. It could mimic the genre but was unable to expand upon it. Did Shaq-Fu put games media’s credibility on the line? In the EGM review, notable critic Sushi-X worried that just about anyone was in danger of appearing in fighting games, possibly even Barney the dinosaur. Fighting games were being run into the ground, even with half-decent efforts such as ClayFighter released by Interplay for Super NES the year before. The market was already swamped. Delphine and EA innovated in one respect, with a story mode comprising rows of dialogue. But when it came to the basics, Shaq-Fu was lacking in inspiration. 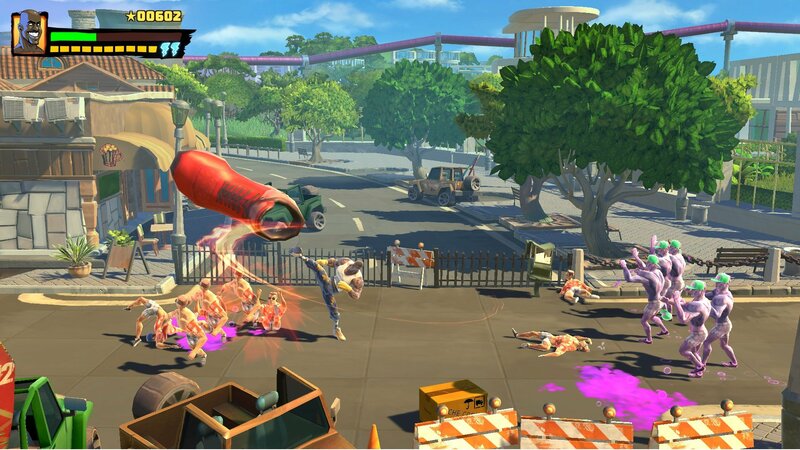 The control feel could have been snappier, the enemy AI was too easily fooled, generally Shaq-Fu was uninspiring. Despite efforts made to add levels of intrigue, such as Mortal Kombat style finishing moves (Beast’s skin would dissolve, Sett Ra’s head caught fire, Mephis would shatter into pieces) there was no buzz surrounding Shaq-Fu at street level. It had never been in the arcades. In a way, gamers can feel proud of themselves for drawing a line in the sand with Shaq-Fu. Despite the magazines of the time quite rightly supporting the developer and publisher’s efforts to release something polished and not at all bad, the audience just wasn’t receptive at all, and much more brutal in its dismissal. Shaq-Fu sucked, that was the story, which word of mouth carried across the globe. We didn’t have social media in 1994, more a sixth sense. Can Shaq-Fu become a Legend Reborn? Big Deez Productions has convinced almost 1400 backers to help its crowdfunded successor come to market. 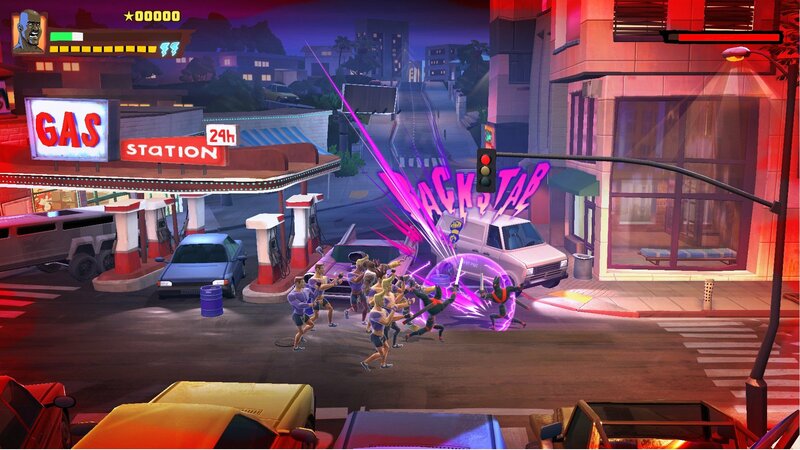 The team met with Shaquille O'Neal in Orlando one weekend to thrash out ideas and realized the best thing to do would be to reinvent Shaq-Fu from the ground up. They are attempting to match O’Neil’s legacy on the court with this videogame, produce something that Shaq can be proud of. There are people who worked on Street Fighter, Final Fantasy, Duke Nukem and Halo involved. It’s an all-star team make for sure, but again this doesn’t strike us as the ultimate fighting-game ensemble, which is honest cause for concern. Shaq-Fu a Legend Reborn is described as Devil May Cry meets Streets of Rage, which wisely sidesteps the arena owned by Street Fighter V and Tekken 7. 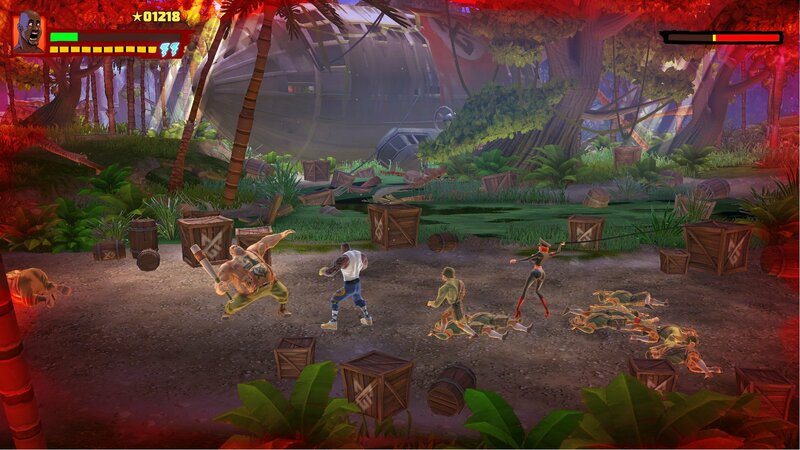 It’s going to be a “3D beat ’em up with dynamic, destructible environments” and feature “1000s of enemies”. We’re most interested in the role-playing aspect of evolving Shaq’s capabilities over time, which could hold the attention of solo players willing to persevere with tongue planted firmly in cheek. Thing is, the original Shaq-Fu didn’t fail because of production values or marketing appeal. It just didn’t hold up because the gameplay wasn’t substantial enough; fighting game fans got hung up on small details such as confusing health-bars, fussy countdown timer and overall misunderstanding of what makes the best fighting games tick, which included audio cues. The number of unnecessary animation frames – which made the game look so very nice – have been attributed to the game’s sluggish feel, not mindful enough of its basic purpose. Is Shaq-Fu set for Spring? Thankfully, it looks as though Big Deez is promising more of an OTT audio-visual experience with Legend Reborn, as opposed to making the most technical combat engine that ever was. It’s a single-player only distraction, not a challenger for the 1v1 crown, which is so sensible. We’re managing our expectations here, holding out for something that’s genuinely just fun. Shaq-Fu a Legend Reborn is being released digitally by Mad Dog Games, with physical copies published via Saber Interactive and Wired Productions. Exact street date TBC.